I am a writer with a gift for writing SPELLS! Spells are a way of calling on a higher Deity to assist us to achieve what we most want from life. 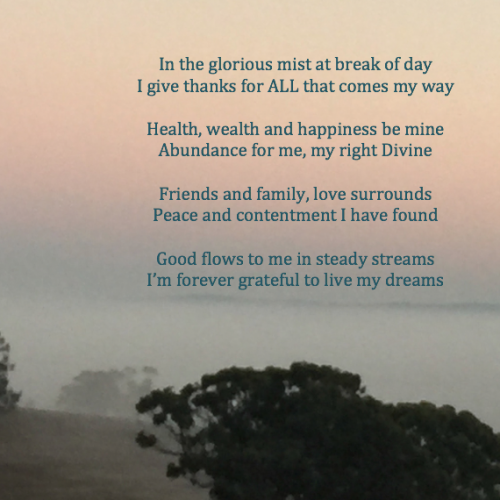 how I can continue to ensure I am on the path of the Divine design of my life. I also like to think about manifesting large sums of money by simply plucking it from the catalogue of life and demanding that the universe provide. My friends and I have spoken often of manifesting abundance, particularly money and we agree it’s not necessarily having a large chunk come to you in one hit (like winning lotto). It’s more about tuning into your inner most (knowing) Self and creating action around thoughts and ideas. Thoughts and ideas that we mostly ignore because we hold some sort of self-doubt or decide it’s all too hard (because winning lotto would be much easier). We are constantly making (conscious and unconscious) decisions through the thoughts we think. The key is to create consciousness around these thoughts. The catalogue of life and plucking what you want are the words of Florence Scovel Shinn. I was first made aware of her about ten years ago, but only got around to reading her book ‘the game of life and how to play it’ in the last couple or so years. These two esteemed writers changed my life, courtesy of course of my girlfriend who put them in my face and constantly reminds me of how ‘effing’ slow I was on the uptake. That is what happened for me. I was already a fan of their style of teachings but upon hearing their words it all made sense. Their way of telling the story, which is not new, resonated with me and I got it. Now it’s my turn to share the message, albeit with my SPELLS, in the hope that others will ‘get’ my take on this wonderful view of life and how we are all born with greatness. We just simply need to believe ‘we become what we think about’ and what better way to embed sound thinking than through invocations and incantations of SPELLS. Join the conversation by signing on to follow us, book into a workshop, incant some SPELLS. 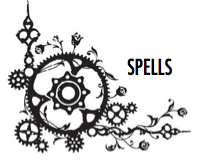 Click here to ask for your own bespoke SPELL!